NOTE: I will not be around next Wednesday to post a new WFW, so next week, we'll take a break. 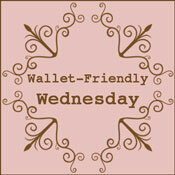 But, come back on October 3, to see a brand new Wallet-Friendly Wednesday and browse what was shared this week. Instead of sharing what was shared in the previous weeks, I'm going to share some PINTEREST successes I've recently experienced! I have indeed tried ALL of these, and they were great! Free printable monogram--LOVE! I printed one off and framed it in our bedroom, in the orange color. LOVE! Grow your own basil--A friend of mine brought me a couple of sprigs from her garden to use in a soup. So, I used one, and then cut the other one and put it in a vase of water. Pretty soon, it sprouted roots, and I planted it in a little pot in my kitchen! Grow baby, grow! It smells so good, and it worked! 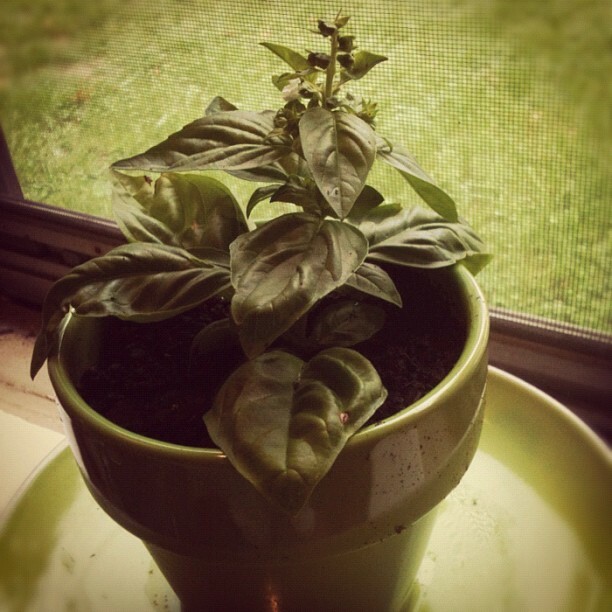 Now, I'll hopefully have fresh basil growing all the time! As a matter of fact...here's a pic of my new little plant! And one final one...this Honey-Sesame Chicken is really, really, really yummy!